Special occasions like wedding call for the best designs and jewellery. 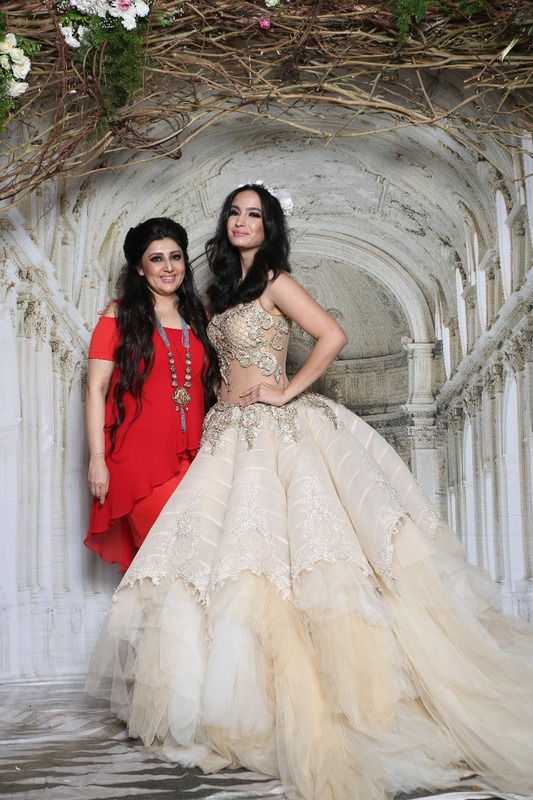 Known as the one the best bridal designer in the country, Designer Archana Kochhar launched her new Spring Summer 18’ “Bridal Collection” to add the much needed edge to your summer wedding wardrobe. Comprising of three different collections - Brocade Tales, Pristine White, Red Affair, Archana’s new collection is perfect for the various festivities in an Indian Wedding. 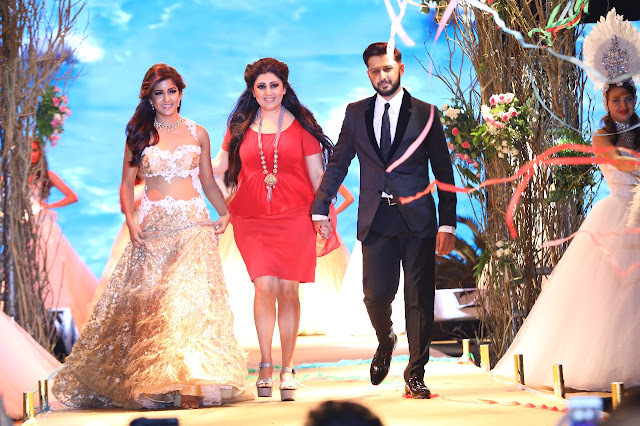 The entire show came to life when Designer Archana Kochhar’s real life celebrity bridal clients, walked for her as the showstopper in style. 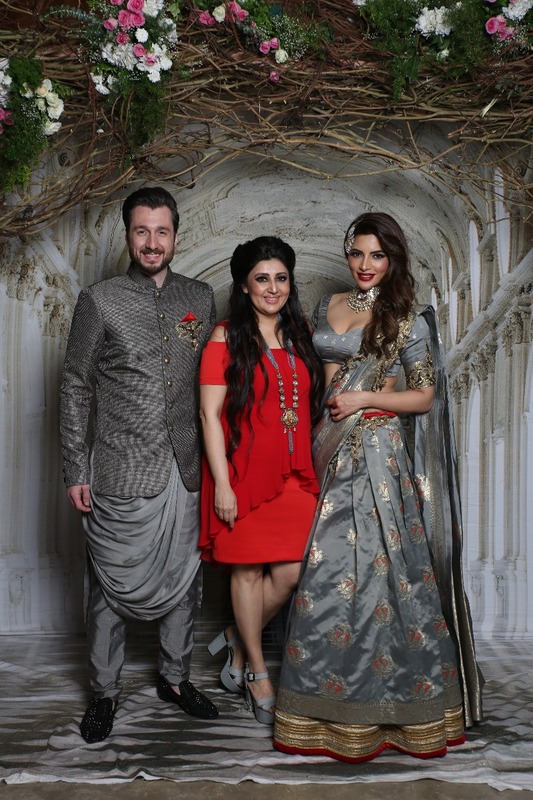 While recently married couple Actress Ishita Dutta and Vatsal Sheth added mystique by walking for her Pristine White collection, Actress Shama Sikander and her husband James Milliron looked resplendent while they walked as showstopper showcasing her Brocade Tales collection. 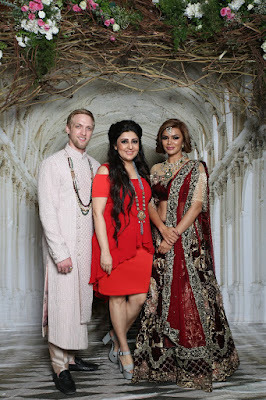 Newly married couple Actress Aashka Goradia and Brent Goble looked like a royalty as they walked showcasing Designer Archana Kochhar’s Red Affair collection. The surprise element for the evening was when Movie Wajah Tum Ho Actress, Sana Khan and the favourite Gopi Vahu Giaa Manek walked for Archana Kochhar, opening the show for her. “It was an amazing experience showcasing my new bridal collection at the Merchants of Wedding Show. I am very thankful to all my friends who walked for me today. I had designed for most of their weddings, and got to dress them again like brides for the show today”, smiled Designer Archana Kochhar. “It is always a pleasure to walk for Archana Ji. Our friendship goes a long way. She had also designed a beautiful blue lehenga for my Sangeet ceremony and here I am again dressed as a bride in beautiful ensemble”, shared Actress Aashka Goradia. Brocade Tales: Brocade is everlasting and can be worn generation after generation. The brocade tales collection looks spectacular and the little shimmer adds perfect glamour to the Indian wedding. The versatility of silhouettes is striking, be it one shoulder dramatic blouses, flared lehengas, stylish jackets or beautifully blended motif. Red Affair: Any auspicious occasion in India is incomplete without Red Color. And when it comes to wedding, red color marks the significant change of the new phase in a bride’s life. Keeping in mind, Red Affair collection is made which is an epitome of elegance, tradition making the bride look both beautiful and ethereal. Each outfit is very minutely embroidered with hand keeping every detail intact.